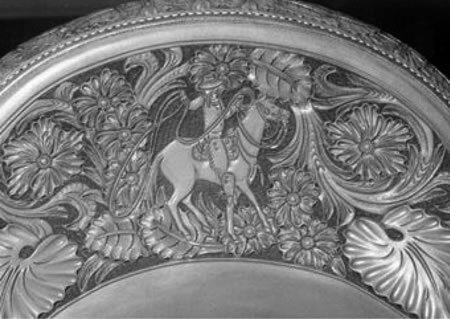 Frecker’s intricate attention to detail, displayed in custom tooling on the cantle. 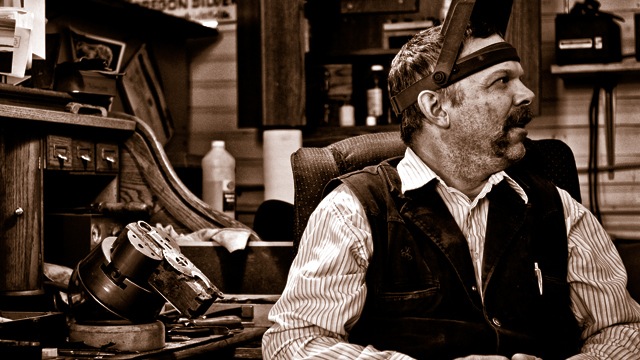 If you’ve got your eyes on one of Kent Frecker’s custom saddles, get in line. For a long time. Try until about 2016 because that’s how long he’s booked out as far as making you one with his own two talented hands. Pretty impressive for a business previously stationed in the cellar, car trunk, back rooms, and a converted milk barn. 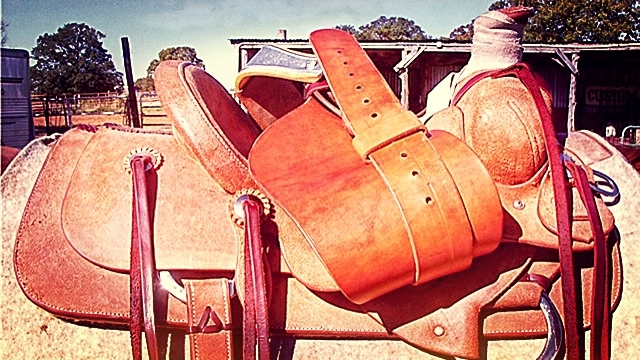 These days, it’s a successful custom saddlery in Idaho Falls, Idaho. It all started for Frecker as a boy living not too far from grandpa’s place. Grandpa started horses the old way—by snubbing them to a post, sacking them out, saddling them in the round corral, driving them from the ground, then getting on—all in a short amount of time. 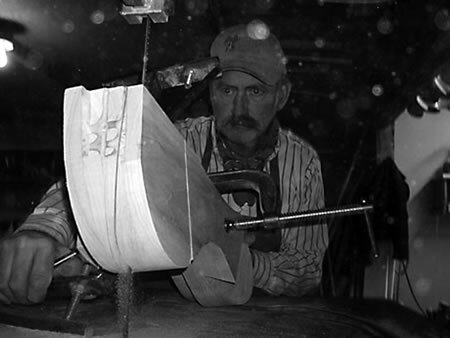 Frecker cuts out tree bars with a bandsaw and angle jig. The trees are made from yellow poplar for the bars and cantle, and the fronts are laminated baltic birch for added strength. After carving, shaping and treating all the parts, the saddle is draped in rawhide which is ultimately trimmed and stitched to the saddle. The trees are then shellacked to protect the rawhide from moisture, and ready to be made into saddles. Fast forward to high school. After graduation, Frecker got a job at Smith and Edwards [western store] in Ogden, Utah, and became a jack-of-all-trades. “I made headstalls, strap goods, and saddle bags. Then I became manager of the western department and did everything from order greeting cards to shaping hats all day,” he said. He also became interested in the saddle shop there, and started hanging out with the saddle maker and slowly collecting some tools of the trade—both literally and mentally. Combining those with a little confidence, Frecker started his own little leather shop in the cellar of his house. Little did he know that tiny space in the cellar would give rise to something huge. By this time (1989), Frecker was already toying with striking out on his own anyway. He was still with Smith and Edwards, but leaving his growing family, including three kids and one on the way, for a weekly life on the road as a salesman wasn’t remotely what the devoted family man wanted. “The main reason I got out of there was to be with my family,” he said. “When the kids were little, we had a deal. When they got home from school, they had to come out to the saddle shop and tell me one new thing they learned in school that day. Then they would get to pick a treat out of the treat bowl,” he shared. “They would come to dad’s shop first thing and they looked forward to it and that was so rewarding for me. I like being a dad and family man, and it’s really special being a grandpa,” Frecker proudly added. 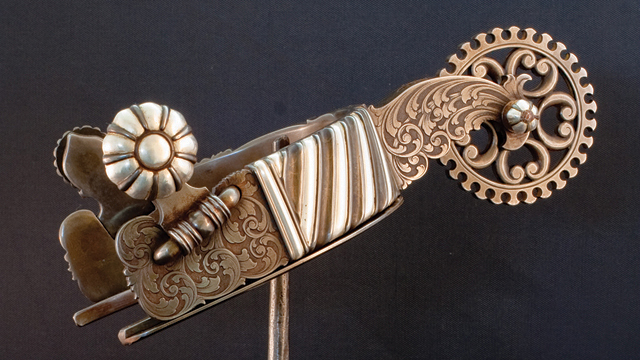 However, every cloud has a silver lining they say, and the underlying advantage of the travel for Smith and Edwards was the opportunity to meet, talk with and observe some of the best saddle makers in the business. But it didn’t hold a candle to missing the wife and kids, so Frecker decided to go it alone. Three years later, that fell through, too, when the store was sold. But where the family was currently living, there was an old milk barn out back. Not for long; it became Frecker’s next saddle shop. Just like that, things exploded. Frecker was making saddles wholesale. But soon, he started getting better clients and retail buyers. 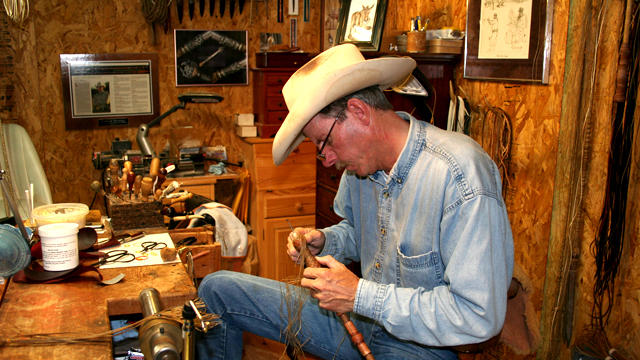 And one day, who should wander into the shop but noted saddle maker and cowboy artisan Dale Harwood. 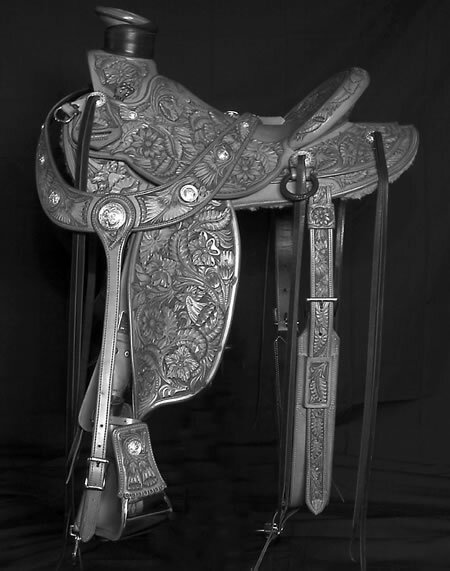 He liked Frecker’s work, and wanted him to help make saddles that Ray and Carolyn Hunt could sell at their clinics. It was a golden opportunity, and Frecker was soon under the tutelage of Harwood who wanted to be positive each saddle Frecker built was just like those that he (Harwood) produced. “It’s been good” is an understatement. Clients include Buck, Mary and Reata Brannaman; Curt and Tammy Pate; Ray and Carolyn Hunt; Shayne Jackson; Roland Moore; movie star Tom Selleck; and many repeat customers each year. But with so many well-made custom saddles on the market, what’s the attraction? Frecker believes there are two main things that set his saddles apart—his handmade trees and the unique ground seats stemming from them. 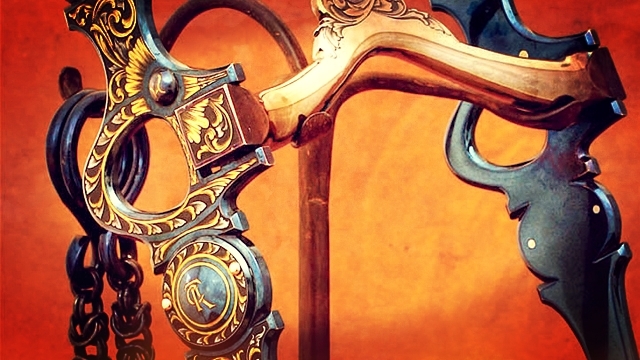 The consistency is a key element in the ground seats—and ultimately the uniqueness—of Frecker’s saddles. Frecker said he gets the most pride and satisfaction from customers that tell him they love their saddles. He finds that kind of feeling hard to explain, similar to the joy of riding a rig you made yourself. 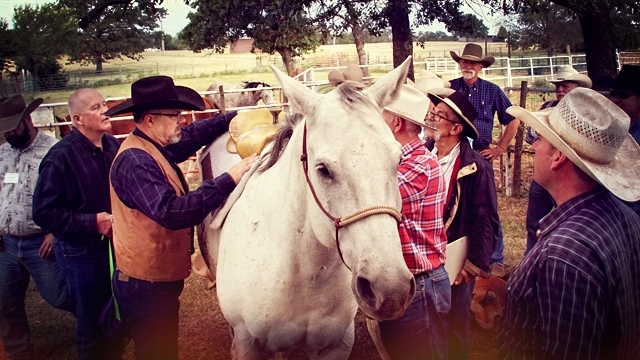 He gets to do that as he attends as many of Buck’s clinics as possible, and as he starts a few quarter horse colts a year for himself, a few Fox Trotters for his father-in-law, and a few mules. He finds the differences between the equines perhaps as intriguing as saddle making. “A horse reacts out of respect and learns to stay out of your space,” he said. “But a mule has to have more trust and love for you or he just won’t respond. You can’t make mistakes; if you do, you’re done,” he continued. “They don’t forgive like a horse, and they are sure more accurate kickers,” he laughed. Meanwhile, back at the shop, Frecker can’t take any new customers, but the good news is he’s got some promising apprentices. One of those, David Rigby, already has a two-year waiting list. 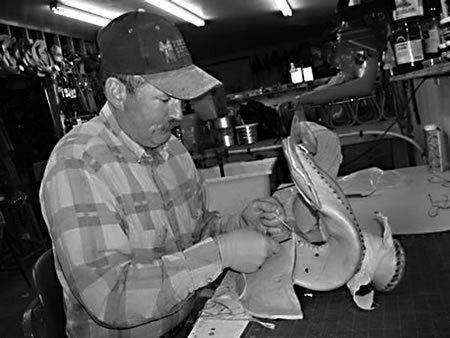 The other, Steven Genetti, is currently working side by side with Frecker and is “starting to produce a good saddle.” Those will be on the Web site when possible, but Genetti isn’t taking custom orders yet. 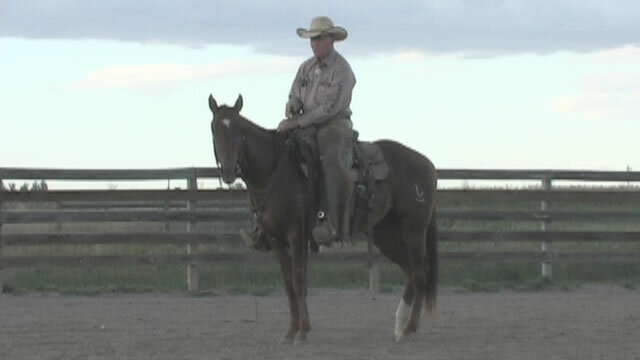 Your best bet to get your hands on a Frecker saddle is through Houlihan Horse Gear www.HoulihanHorseGear.com. For more information on Frecker’s Saddles, please visit freckerssaddlery.com call 208-538-7393, or e-mail saddles@freckerssaddlery.com.